Gavin Schmidt on Advocacy and Judith Curry's "missing element"
Stephen Schneider was a science communicator who understood intimately the roles of expertise and values in raising public awareness and in discussing both problems and solutions to issues of public concern. With a new generation of climate scientists stepping up to the microphone, what are the lessons to be learned from his experiences? I will discuss the ethical issues associated with being both a scientist and a human being, the importance of honesty - to oneself and to ones audience - and how this can be effective. I will also discuss how scientists can find a role for themselves in advocating what they feel strongly about and how to avoid some common pitfalls and problems. Above all, I will present a picture of how one can try to be both a public voice and a good scientist, and how these roles, in the end, reinforce one another. Gavin Schmidt argued that scientists should be clear about their personal values when discussion climate science and the implications and when advocating courses of action. Gavin Schmidt also stated that it is irresponsible to misrepresent or hide values. I haven't seen Judith clearly expressing her values when she advocates doing nothing to limit emissions. One can only speculate. In her blog article, Judith makes a statement and poses some questions, which are suggestive of her policy position and her values. But she does not explicitly state either her policy position or her values in detail as relevant to this subject. I'll leave it to readers to see if they can figure them out. Judith's general approach on her blog and in various testimonies (eg to US government hearings) is to avoid or misrepresent science. She has even gone so far as to recommend that scientists stop reporting climate science to governments by saying that "the IPCC should be put down". She pretends that much more is "unknown" and "uncertain" than it really is. She has argued that rather than reduce emissions we should improve weather forecasting, as if that's an either/or decision. The rest of this article is about Judith's implied advocacy in the light of Gavin Schmidt's lecture. It's rather long so if you are on the home page, click here to continue reading. Is Judith Curry confused about advocacy? He states that numerous people complained that this statement is advocacy including IPCC scientists. Schmidt argues that it is not a normative statement, that is a factual statement. Huh? That is a positive statement not a normative statement. It's objective and based on the science. There is no value judgement expressed. Fact 1: Continued greenhouse gas emissions cause further climate change and constitute a multicentury commitment in the future. Fact 2: Therefore we conclude that limiting climate change requires substantial and sustained reductions in greenhouse gas emissions. Now that we have the facts we are in a position to make a value judgement from an informed position. The value judgement that most societies would be expected to come to is that making large areas of earth uninhabitable is undesirable. That it's better for humanity and all life on earth if we don't hasten the sixth major extinction. If humanity is keen to end the world as we know it then no-one has said so. There are some values that are so fundamental that they are shared by almost everyone. The preservation of life on earth has to be one of them. Most people (okay - maybe with the exception of Judith Curry) would agree that dangerous climate change is undesirable. It's useful perhaps to think about Judith Curry's "missing element". Is she correct? If so, at what point do we accept the value judgement that warming is "bad", that extinguishing life on earth is "bad" and move on? If the world warms by six degrees, oceans will turn into marine wastelands and natural disasters become common events. At seven to twelve degrees of warming - Earth says "bye bye folk, come back in a few million years"
Despite the uncertainty in future climate-change impacts, it is often assumed that humans would be able to adapt to any possible warming....heat stress imposes a robust upper limit to such adaptation. Peak heat stress, quantified by the wet-bulb temperature TW, is surprisingly similar across diverse climates today. TW never exceeds 31 °C. Any exceedence of 35 °C for extended periods should induce hyperthermia in humans and other mammals, as dissipation of metabolic heat becomes impossible. While this never happens now, it would begin to occur with global-mean warming of about 7 °C, calling the habitability of some regions into question. With 11–12 °C warming, such regions would spread to encompass the majority of the human population as currently distributed. Eventual warmings of 12 °C are possible from fossil fuel burning. "... this argument that warming is ‘bad’, ...is a value judgment and has nothing to do with science." Is the extinction of most life on earth desirable or not? From an ethical standpoint, ought we (or should we) be making that judgement for people not yet born? If we judge that extinction is desirable, what does that say about our values? Is it ethical? Judith Curry seems to want to stop to consider those questions some more. I ask, how much time do we have to make that value judgement? How much time do we need to make that value judgement? Is it a no-brainer or is it a serious question that deserves more time to give it thoughtful consideration? It's likely that the window for reversing our decision to commit to mass extinction is rapidly closing. No decision is itself a commitment. No decision is a decision in itself. We can make a value judgement to not limit climate change and let future generations wear the known consequences. We can make a value judgement that the future is of no value. We will be making that value judgement knowing the consequences. The consequences being rapid climate change, a much hotter world, seas that will ultimately rise by several meters, a mass extinction event and, if future generations have the same values, the likely demise of all but maybe a few hundred or thousand humans trying to scrape an existence on a scorched earth. We can choose to continue to change the climate and maybe hope that at least some human and other species in future years can adapt to the change. Or not. We may believe that it's advisable for the world to have another major extinction. Maybe as a civilisation we will take the view that humanity has run its course. Or we may take a punt that if a huge percentage of species disappear then in a few million years better species will emerge. We may want to toss the dice on the chance that there will be an ecological clean sweep. I take it from Judith's statement that she has made the value judgement that if not desirable, at least there is an open question as to whether extinction is desirable or not. Her values allow her to raise the question. Fair enough. However she needs to decide her answer soon because the window of opportunity to let future generations decide is rapidly closing. I doubt the rest of the world will decide to take any notice of Judith's personal values. Her ability to reason is questionable at best. To illustrate that, let's move onto what Judith suggests are alternatives to reducing greenhouse gas emissions to limit climate change. Thomas Stocker said that limiting climate change would require "substantial and sustained reductions of greenhouse gas emissions". Judith suggests that instead of reducing greenhouse gas emissions, we can limit climate change by "adaptation, carbon sequestration or geoengineering", presumably while continuing on the exponential increase in atmospheric CO2. Limit climate change by adapting to it? Huh? ...how is it a ‘fact’ to state that this [limiting climate change] must be dealt with by reducing greenhouse gas emissions (rather than by adaption, carbon sequestration or geoengineering)? To use the language of Dr Spock - that is not logical. We cannot limit climate change by adapting to climate change. That's just silly. Our choices are (a) to limit climate change OR (b) to adapt to climate change OR (c) a bit of both. Try to limit climate change by carbon sequestration, while allowing emissions to accelerate? Huh? Judith Curry is suggesting that we continue to increase the rate of CO2 emissions and attempt to limit climate change by, presumably, sequestering more carbon in the soil and/or long-lived plants or other means. To get carbon out of the air will require an awful lot of sequestration. To keep up with the pace of increases in atmospheric CO2 would be hard enough. To reduce atmospheric CO2 through carbon sequestration, to make "substantial and sustained reductions" while still burning more and more fossil fuels would be nigh on impossible. In any case, what's the point of trying to remove carbon from the air through sequestration if we're intent on adding ever-increasing quantities of carbon to the air again? There are no guarantees we will be able to remove 10 billion tonnes of carbon from the air by sequestration each year, let alone more as we increase the burning of fossil fuels. On the other hand, if Judith is thinking of something like carbon capture and storage then not only is it very costly, it is the same thing as "limiting emissions". Given that Judith suggested "carbon sequestration" as an alternative to "substantial and sustained reduction in emissions" we can disregard that. Limit climate change by geoengineering while allowing emissions to accelerate? Huh? And it’s clear to me that if we continue allowing greenhouse gas concentration to grow in the atmosphere, and try to engineer our climate to counteract those effects, that as the greenhouse gases accumulate, and our counteracting system grows ever larger and larger, that the risk of some kind of catastrophic failure of this offsetting — or the imperfections in this offsetting — would grow in time and the net result would be pretty negative, I would imagine. Most geoengineering approaches are widely regarded as high to very high risk, with known and unknown unknowns. If we solely relied on them while allowing emissions to continue to increase, then the risk would be extremely high. And anyway, what's the point of expensive, risky geoengineering if we aren't going to limit emissions at the same time? "Even if you believe that CO2 is the dominant control knob on climate change on timescales of decades to centuries..."
It's not that Judith Curry herself doubts the greenhouse effect but she's more than willing to encourage her readers to doubt it. So it's not sufficient that Judith is being quite illogical and advocating adaptation as a means of limiting climate change. Or proposing the high risk path of geoengineering to limit climate change while pouring waste CO2 into the air at an increasing rate. Or advocating that we limit climate change by limiting emissions after all by sequestering carbon before it's emitted. Or wanting to do what is probably physically impossible - allow emissions to continue to grow and plant enough trees or otherwise sequester more carbon than we emit. She wants her readers to doubt the fundamental science. That's what I would call peddling disinformation. The "missing element" in what Judith wrote is her own value judgement. Gavin Schmidt argued that scientists should be clear about their personal values when discussion climate science and the implications and when advocating courses of action. Does Judith Curry make the value judgement that limiting climate change is worth more or less than the existence of life not yet created? Are future humans worth more or less than limiting climate change now? Are animals and plants of the future worth more or less than shifting to clean energy now? Societies must judge whether or not it is worth protecting life and reducing CO2 emissions or whether they would rather just go with the flow and end most life on earth - or somewhere in between. Yes, that is a value judgement but one we can make knowing the consequences. I don't distrust scientific findings per se. I don't trust or distrust scientists as a professional body any more than I trust or distrust any profession. When all the science points to the same conclusions then I would consider myself very foolish to disregard it. I don't have any "trust" that Judith Curry has the interests of humanity at heart. That's based on her frequently misrepresenting the facts, her FUD approach to her blog articles, and her testimony and submissions to various government bodies and inquiries. I definitely don't share what I understand from her writings and interviews to be her personal "values". Oh - in case you are wondering, in my own value set, a decision to limit global warming is a 'no-brainer'. I value humanity and life on Earth. To be explicit - we should and ought limit global warming by making substantial and sustained reductions in greenhouse gas emissions, by carbon sequestration and, if it comes down to the wire, by carefully vetted geo-engineering. And we will need to continue to adapt to climate change as it progresses. For more discussion on the topic of Gavin Schmidt's lecture - go to realclimate.org. "Normativity is either an illusion, or involves irreducibly normative truths. Naturalist Cognitivists, such claims state irreducibly normative facts." What I get from this, and beware that I do get it wrong quite often, is that normative claims can be expressed as facts. In this respect it doesn't matter whether a claim is normative or not, only whether it is true. He goes on to argue that the best test of normative facts involves "reasons or apparent reasons". So whether or not Stocker is making a normative statement is to my mind immaterial. More significant are his reasons for saying "limiting climate change will require substantial and sustained reductions of greenhouse gas emissions" and he gives his reason in the preceding sentence, "Continued emissions of greenhouse gases will cause further warming and changes in all components of the climate system". Thanks, quakerattled. Philosophy can make my head spin - but maybe it's time I caught up with some of the latest thinking. I've never read Parfit's work and will rectify that situation. I tend to agree with you about how much it "matters". If values are so fundamental and can be assumed to be held by all people then to all intents and purposes they are immaterial. At some stage though it can be useful to identify and question even fundamental values - but not as a decision-delaying tactic, which I think is how mischievous people play their games. I also read that post somehow and noticed the obvious logical errors in the thinking of Judith Curry. Also Bart Verheggen found the same problems. Judith Curry is more than sufficiently intelligent to have noticed these problems herself. Thanks, Victor. I don't know how I missed that one. Bart said it a lot more succinctly and covered more ground than I did. I sat on this for a couple of days. I find it ironic that Judith seems so against any scientist but herself "speaking out" on matters of climate policy. If only she occasionally had something useful to contribute but her usual messages seems to be "wait and see" varied with "do nothing" varied with "cut climate science funding". I notice that she tweeted that I am usually wide of the mark when I comment here on her blog articles. Looks as I everyone else is, too, from scientists to fake sceptics. Perhaps she needs to express what she means in a different way so we all can understand better what she means. Judith Curry seemed to have claimed that political advocacy is bad, thus I thought I'd point her to an article of yours about her political advocacy. She did not respond that that question. Only mentioned that you were not very polite. That is no news :), but not an answer. I am still at loss what here opinion on advocacy is. Whether it is only okay if you advocate for her position or whether it is sufficient that you have no clue what you are talking about. Sounds like you are not allowed to have any expertise, right? Or is that my lack of reading comprehension? I wonder if Tamsin Edwards is appreciative of Judith adopting her. Tamsin and friends didn't like it much when she was warned of the similarities between her tactics and those of Judith Curry a few months back. Tamsin hasn't sold her soul in the same way as Judith has - not yet. I think they are very different still. Maybe this sort of thing will give Tamsin a wake up call. Or not. I don't know. Judith is quite strong in her advocacy. She is known at least as much for her "do nothing to limit climate change" and "ban the IPCC" and "stop funding climate models" etc etc advocacy as for her giving lots of space to cranks on her blog - and not just in the comments section either. She elevates their nuttery to blog articles. It would be fair to draw the conclusion that what she thinks is that no scientist but the ones she agrees with should advocate anything. I can understand why working scientists are discussing this issue but to be frank it is starting to get to the point where it is like debating how many angels can fit on the head of a pin. 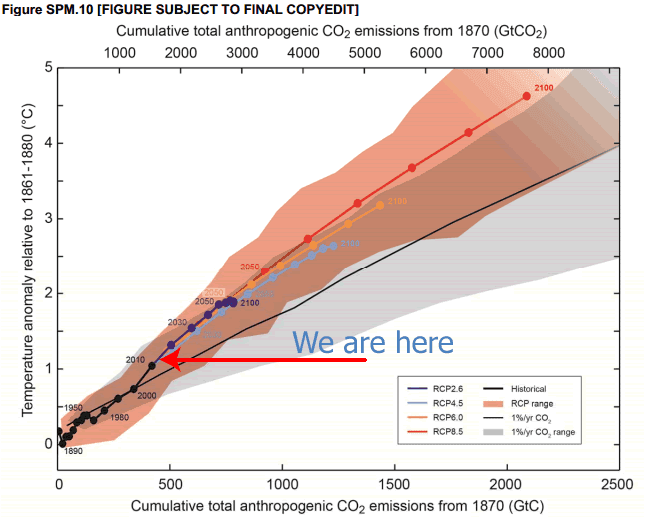 Curry, Pielke Jr, Tol et al are carbon mitigation deniers. The reason they want the scientists to shut up is that they do not like what they are saying. Climate scientist Myles Allen **advocates** carbon capture as a solution to AGW. Not surprisingly, Curry praises his fossil fuel friendly advocacy as the best thing since sliced bread. She is a "utter nutter" fellow traveller and a hypocrite. Fortunately very few people other than the cranks are taken in by her schtick. Re your last point, MikeH. Do you think so? Re the "very few people" - I hope you are right but there are still people who like her obfuscation and muddying the waters tactics. I think they like that she does the climate science equivalent of saying that fundamentalist creationists "have a good point". Perhaps I should have said "I hope few people are taken in ..."
Sayeth Curry "TE and I are strong advocates for ENGAGEMENT. But not for advocacy of policies derived from your expertise"
Welcome to Bizarro-world! IMO the domains in which anyone is most qualified and in fact obligated to advocate policies are those domains wherein they have expertise. Following Curry's approach means that the _only_ people advocating policies are those lacking knowledge of the subject matter. And that's just incredibly stupid. Does Judith Curry think also that medical scientists shouldn't advocate for technologies and strategies to reduce death and illness? Maybe she thinks all the doctors working on infant mortality should refrain from publishing articles advocating funding to reduce it? Perhaps she also thinks pharmaceutical companies shouldn't advocate for governments to recommend their vaccinations and treatments? I suspect not ... which shows that she objects to the message itself, not to the practice of advocacy. This "scientists shouldn't be advocates" crap is just intended to further obfuscate and delay action because, fundamentally, she thinks action is not necessary. It's concern troll denialism. udith advocates consideration of relying on geoengineering to limit climate change. That's a good article, John. I saw that Bart Verheggen raised the problem of interfering in the water cycle too. Not a great idea. 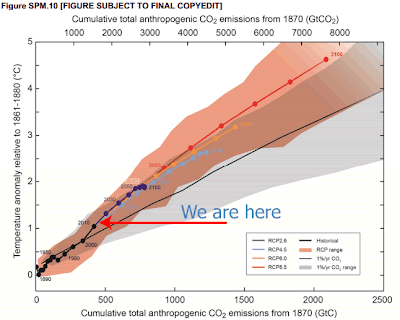 As for 2013 emissions - time is running out in this, the Critical Decade. 2) now gives the sage advice that "scientists should steer clear of advocacy unless they are prepared to make sure that their advocacy is not irresponsible." (http://judithcurry.com/2013/12/27/the-science-and-silence-conundrum/). Sou says: "Continued greenhouse gas emissions cause further climate change and constitute a multicentury commitment in the future... Therefore we conclude that limiting climate change requires substantial and sustained reductions in greenhouse gas emissions. "All wood burns," states Sir Bedevere. "Therefore," he concludes, "all that burns is wood." This is, of course, pure bull***t. Universal affirmatives can only be partially converted: all of Alma Cogan is dead, but only some of the class of dead people are Alma Cogan." Although CO2 causes climate change, limiting climate change does not necessarily require limiting CO2. It's just that it means it in every real world cost-benefit consideration, where every alternative combination of approaches is hideously and increasingly expensive. But perhaps deploying real-world sense is indistinguishable from advocacy for Judith, who continues to move up my list of dumbest smart people ever.